Technically speaking the Taxi Sharing list can be opened easily through Google Sheets. In case the list does not open, you should try updating your google apps or (re)installing the app. Depending on where you want to travel to, or from where you are returning, you should post in one of the 2 tabs. Always check the list before adding your traveling plans or your travel companion request. It always pays to respect each other and treat this list with a serious mindset. Before proceeding further, please check car pooling allowed like this open sharing with anyone with anyone, in UAE. As per UAE law car pooling is allowed only with registered vehicle with registered name of the persons sharing the vehicle. I believe in dubai there were some system for car pooling through the RTA Dubai website registration. Thank you for your feedback. It is always nice to see proper engagement from Ruwais.info readers. I encourage everyone to do the same. I would like to start that the ideea of this article is not about car pooling, but rather Taxi Sharing – where a professional, registered and insurred taxi driver is collecting a small group heading to one destination. The group will most likely consist of people (of the same shift from different companies) who have agreed to travel together at a certain time and also split the fare (evenly). Furtheremore, i have already forwarded this article to our Ruwais (City) Administration and will update accordingly if there are any concerns. 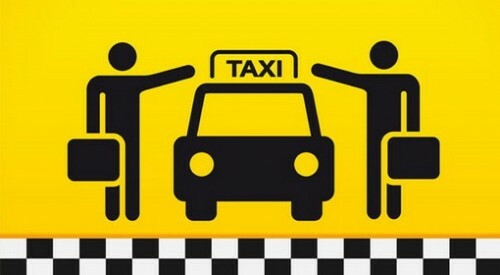 Is there any taxi sharing from Al Ruwais to Al Sila ? Please help . Or from Ghayathi to Al Sila. ? I’ve added my name to the list, I would like to share a ride to the airport on April 2, 2019..